A French court has convicted Equatorial Guinea’s Vice President, Teodorin Obiang, of money laundering and ordered the confiscation of his property in Paris. The saying "No one is above law" no matter the status can best describe a court's judgement passed on Equatorial Guinea’s Vice President Teodorin Obiang. A French court convicted him of money laundering and ordered the confiscation of his property in Paris. The Paris Correctional Court found that the property was bought with the proceeds of embezzlement and corruption in Equatorial Guinea. 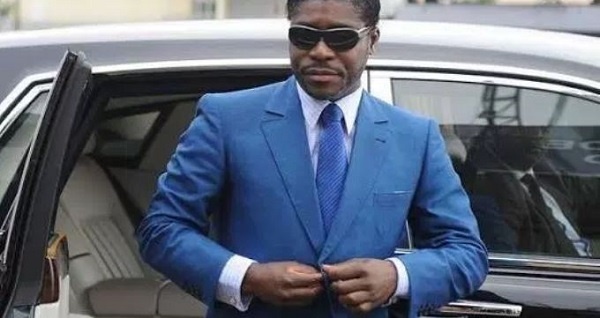 Obiang, 48, who is the eldest son of Equatorial Guinea’s President Teodoro Obiang, did not travel to France for the trial and was convicted in absentia. The confiscated property included a mansion on Avenue Foch in Paris, valued at 107 million Euros ($127 million) in 2012, and a collection of cars costing almost 7.5 million Euros. According to U.S. proceedings cited by the court, Obiang had an official salary of only 80,000 Euros. The court also sentenced him to 3 years imprisonment and a fine of 30 million Euros, both suspended.